The Premier P6200 has recently been redesigned, with substantial improvements made to the roller system and electrical drive. 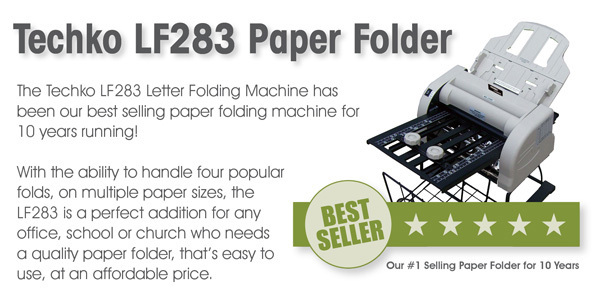 Unit accepts up to (3) sheets of 20# paper at one time, and performs a standard Letter Fold. Key features include easy disassembly for cleaning and photo-optic sensor for automatic start of cycle. - Dimensions: 9 3/4" x 13 3/4" x 6 3/8"